The mining industry’s economic impact on LaSalle County is in the hundreds of millions of dollars. That’s according to a new study from Northern Illinois University. The LaSalle County Mining Coalition and the Illinois Association of Aggregate Producers commissioned the study from NIU’s Center for Governmental Studies. 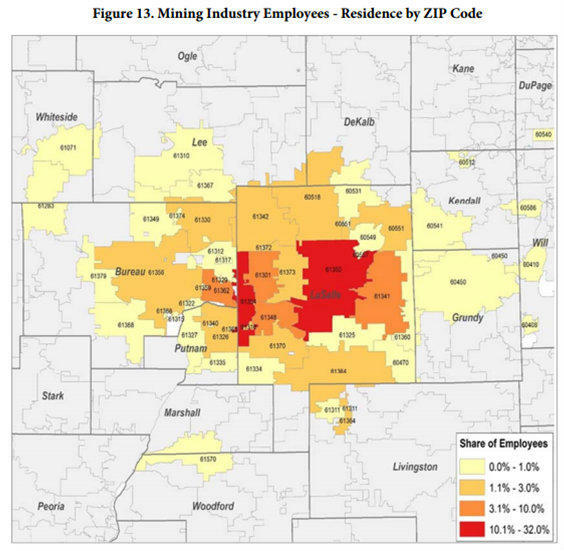 Researcher Brian Harger found the mining industry paid more than $100 million to employees in 2013. That was the last full year of data when the study began.